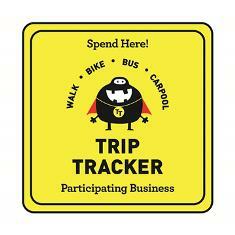 Trip Tracker rewards staff and students with Tracker Bucks, which are earned for walk, bike, bus and carpool trips to and from school. Tracker Bucks can then be spent like real money at select locally owned Trip Tracker Businesses. Trip Tracker’s goal is to improve the air quality and safety around our school’s community, as well as, increase the opportunity for participants to move their bodies more, by reducing the amount of car traffic in front of the school. All are great reasons to participate in Trip Tracker. All students and staff can participate, even if they need to drive/be driven most of the way or most of the time. Visit the Trip Tracker website for more information: www.BoCoTripTracker.com, where you can download the Trip Tracker calendar, find out about participating businesses and more. You can also contact our Trip Tracker Committee chair Molly Sherrard for questions about this new program.